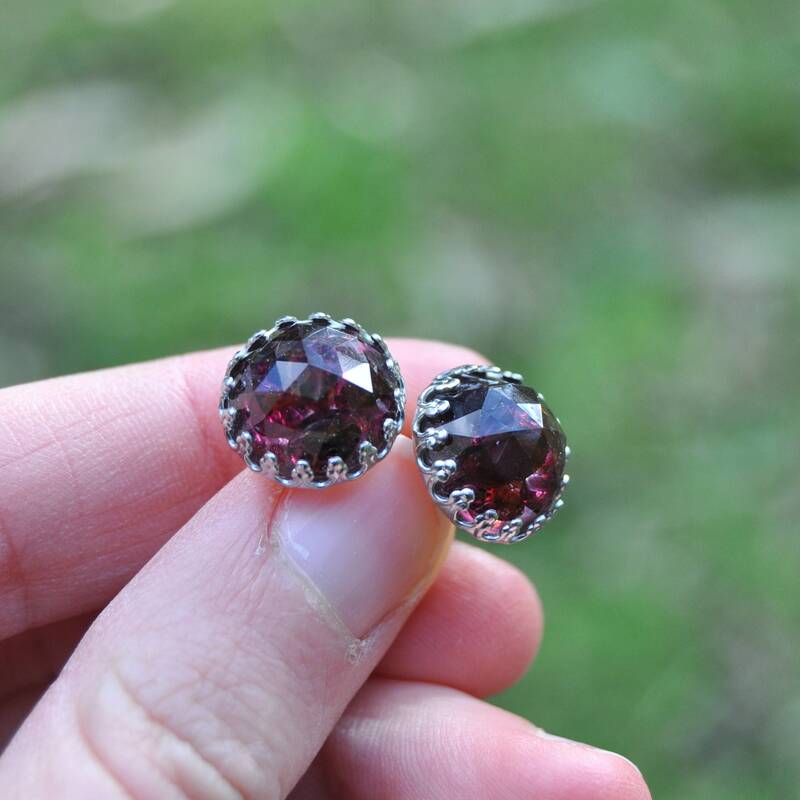 These pretty earrings are made with real garnets and clear eco resin, which I have cast into a beautiful rose cut cabochon. 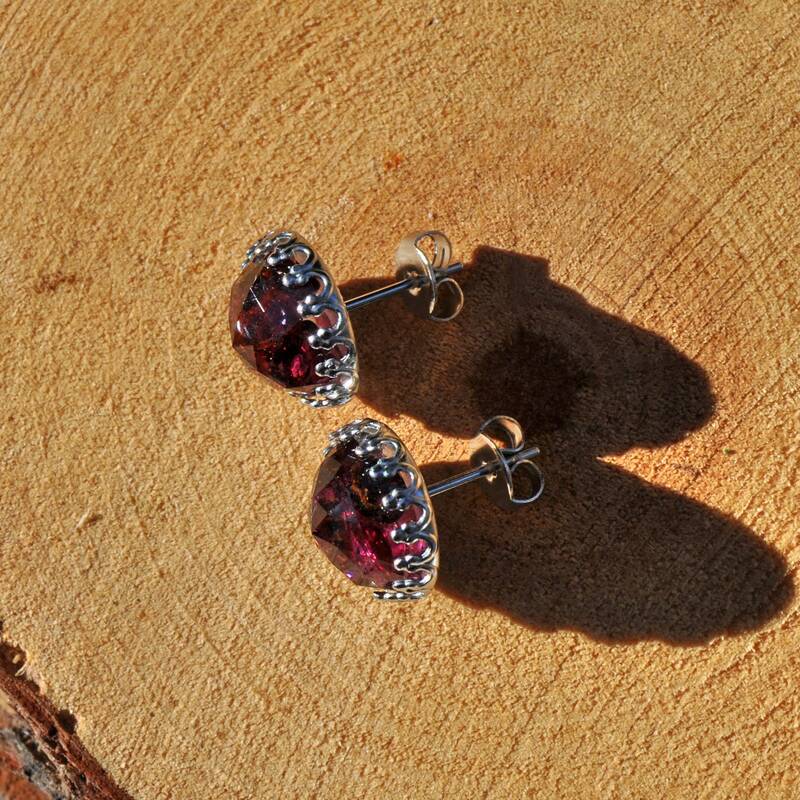 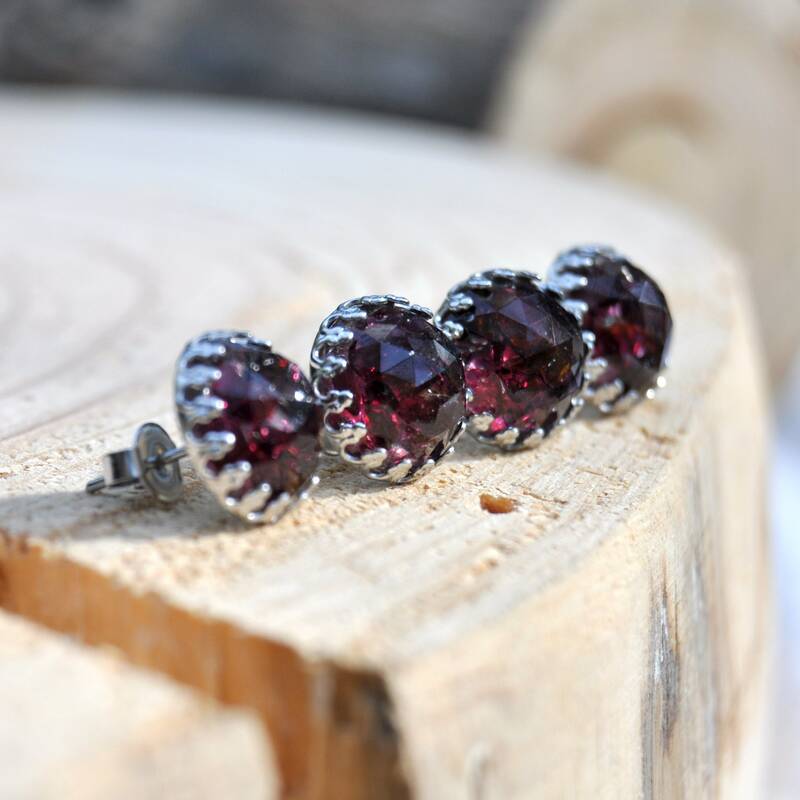 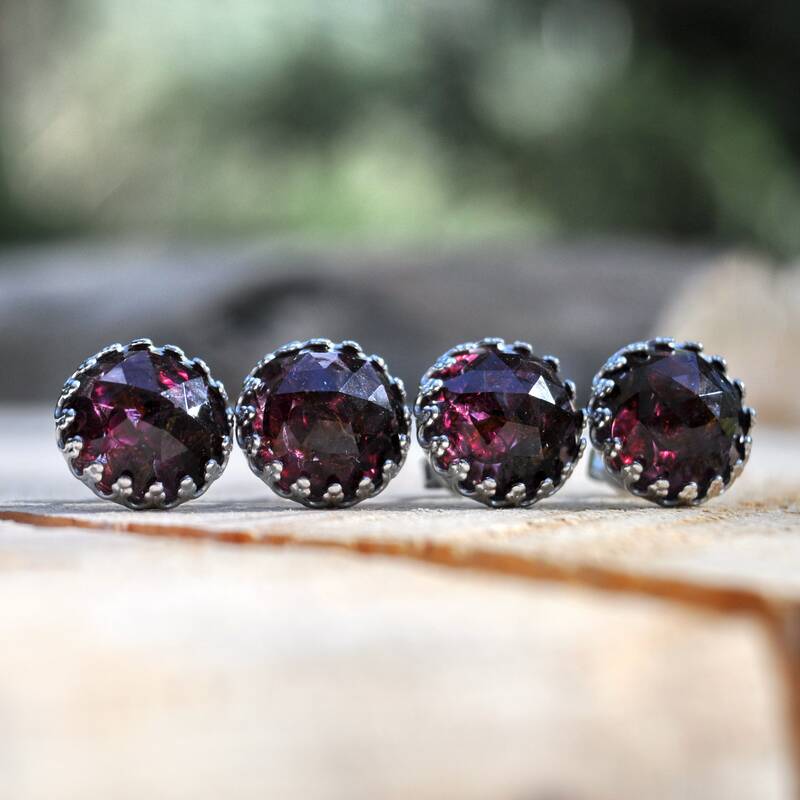 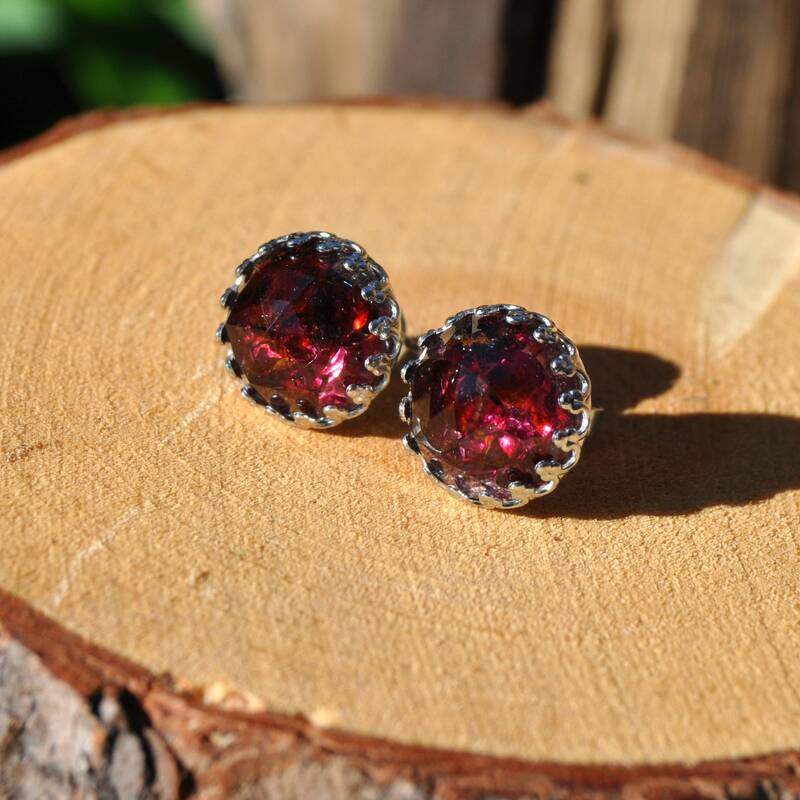 Each faceted cabochon contains a number of tiny garnet pebbles in tones of wine red with occasional hints of orange. 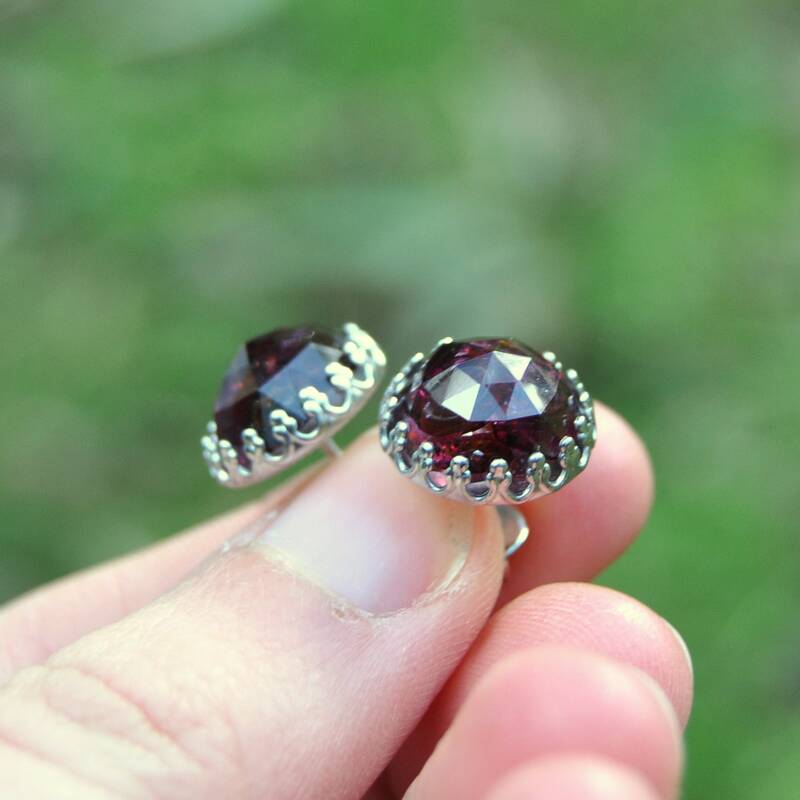 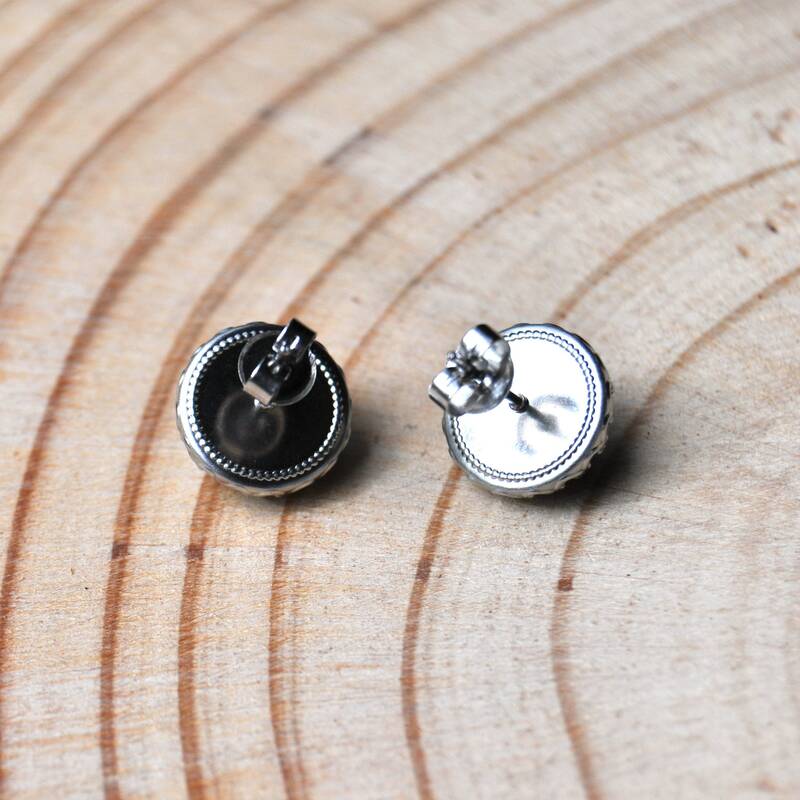 These has been set in a non-tarnishing, stainless steel crown setting, giving the earrings a vintage and Victorian look.